Punk-tinged Brooklyn rock explorers the Men have had a remarkably prolific run so far, releasing new albums like clockwork — since 2010, they've issued one long-player a year, including 2013's New Moon LP and Campfire Songs acoustic EP. Rather than slow thing down a little, they'll offer up their fifth full-length since 2010 early next year. 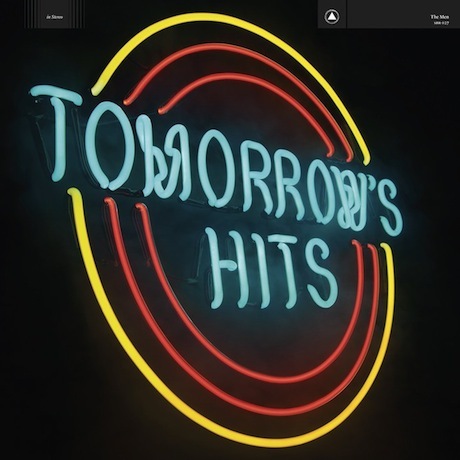 The new album is called Tomorrow's Hits, and a press release calls it the band's "highest fidelity album to date," adding that it was recorded in a "high-end studio." Though it's only eight tracks long, the songs were culled form over 40 demos written and recorded by guitarist Mark Perro. The songs were recorded in two days at Brooklyn's Strange Weather studios before New Moon even hit shelves. The band even enlisted a horn section for the recording. We don't have a taste of the new album just yet, but we do know it'll arrive on March 4 via Sacred Bones. Considering how many demos the band recorded, we won't be surprised if this is the first of many releases from the Men in 2014.